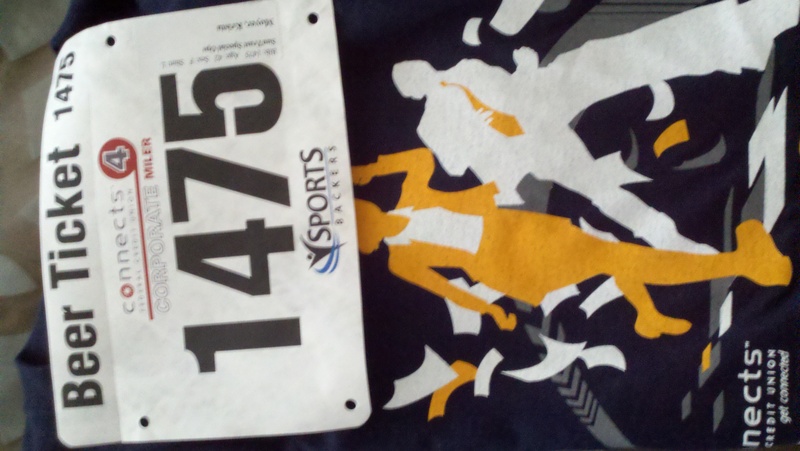 So almost exactly 30 days ago I signed up to run the Corporate 4-miler. As a result, I had to start running for the first time in 2 years – an unintentionally long break following my first (and only) half marathon. My first error in judgement was thinking that I retained some muscle memory and fitness. I hadn’t. Each run has been an exercise in willpower with plenty of running out of steam while a mile or more away from home. My second error in judgement was figuring that June wouldn’t feature temperatures in the upper 90’s. Wrong again. Tomorrow’s high is supposed to be 99 degrees. So I will be running the Corporate 4 miler tomorrow evening, in 90 degree weather, with a running base of 3.5 miles. This ought to be awesome squared. With cherries on top. I told my co-workers that if I don’t make it into work on Friday it’s because I dropped dead on the course and nobody dragged me over the finish line. Seriously, I don’t expect a finish time of much less than an hour. I might have to crawl through the chute, but I’ll get there. The good news? My race bib features a handy dandy beer ticket to use post-race. I’m pretty sure I’ll be taking advantage of that.